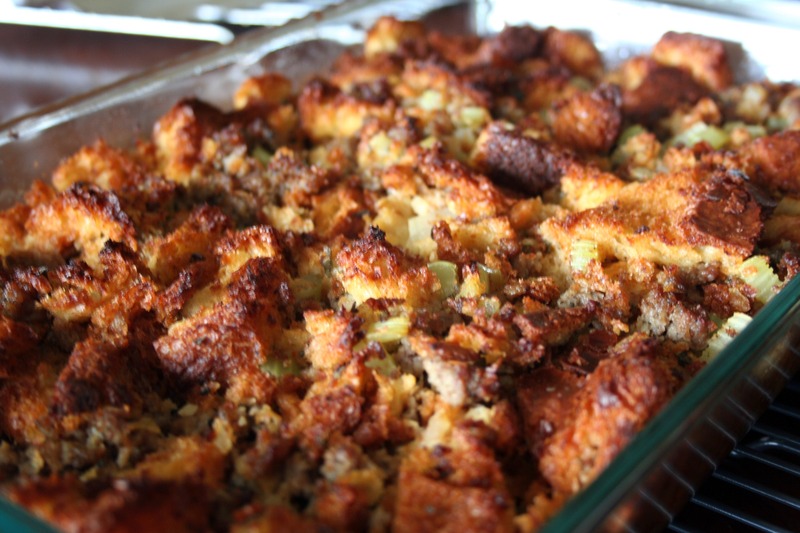 I have made this loaf every year for the past three Thanksgivings – it is amazing and an absolute must. This year I am using Kerry Gold butter – quality counts because the first year I made this bread, I used cheap stuff and it didn’t taste right. Be warned: you’ll need to start making this loaf at least 3 days before you bake it off! 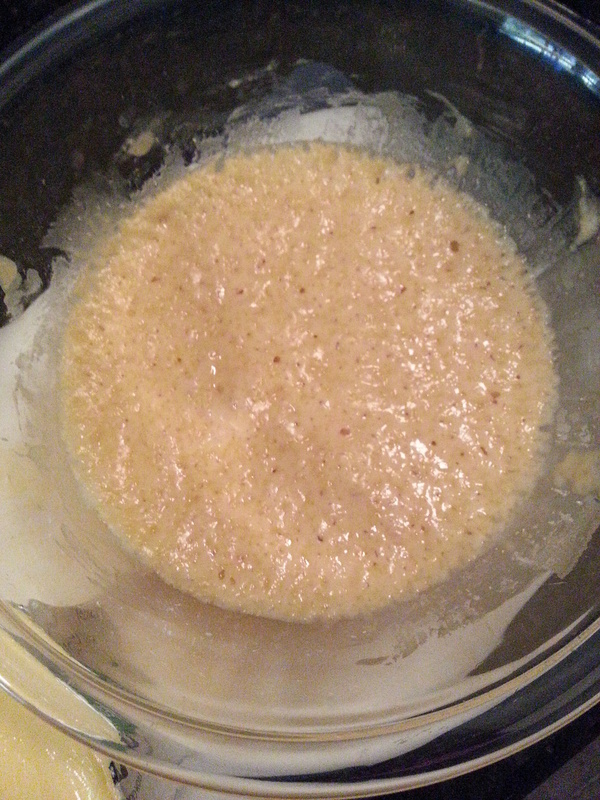 The starter needs at least 12 hours, the dough rests for another two – but again, it’s so worth the wait! The brioche is rich, but airy; and bakes up into shiny, gorgeous mahogany loaf. Thanks for reading, enjoy! *Make the starter one to two days ahead. In a mixing bowl, add ingredients and mix until very smooth. Cover with plastic wrap. 1. Combine first four ingredients and pour on top of the starter, cover with plastic wrap and let sit at room temperature for 1 1/2 to 2 hours. 2. 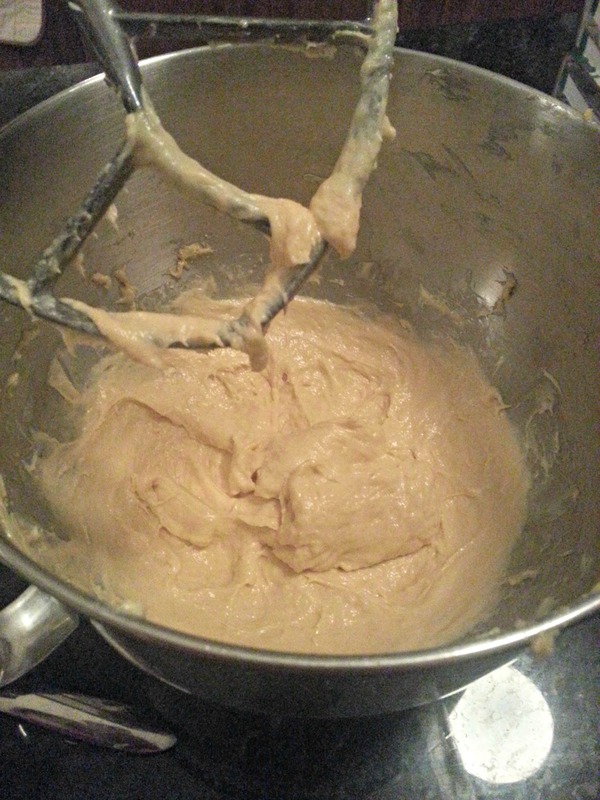 Using a standing mixer, add eggs and mix on low speed for about a minute until evenly moistened. Raise speed to medium and beat for two minutes. Scrape the sides of the bowl with an oiled rubber scraper, then continue beating for five minutes longer or until the dough is smooth and shiny but very soft and sticky. It wont pull away from the bowl completely. 3. Add the butter one TBSP at a time until all incorporated. The dough will be soft and sticky. Lightly oil top and cover with plastic wrap. Let rise until doubled, about 1 1/2 to 2 hours. 4. 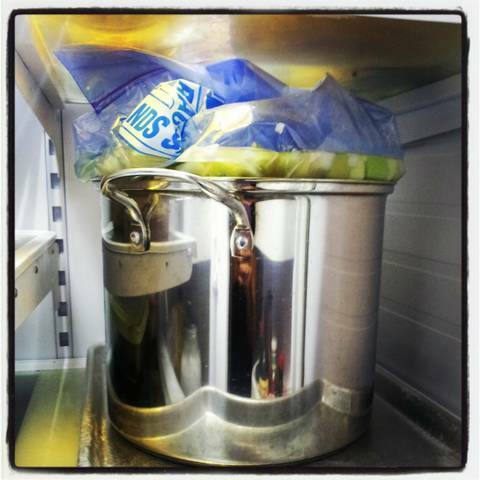 Chill – refrigerate for one hour, then gently deflate with rubber spatula, then return it to the refrigerator for another hour. 5. Deflate/Chill – turn the dough out onto a well floured surface. Press or roll into a rectangle, flour as needed. Give the dough a business letter turn, brushing off excess flour. Rotate 90 degrees so the closed side faces left. Make a second business turn and round the corners. Dust it lightly on all sides with flour. Wrap loosely but securely with plastic wrap and place in a large Ziploc bag. Refrigerate of at least six hours and up to two days. 6. Shape/Rise – remove from fridge and gently press down to deflate. Roll/press into a 7 1/2″ by 5″ wide rectangle. Roll down from top in three turns, being sure to brush off the excess flour. 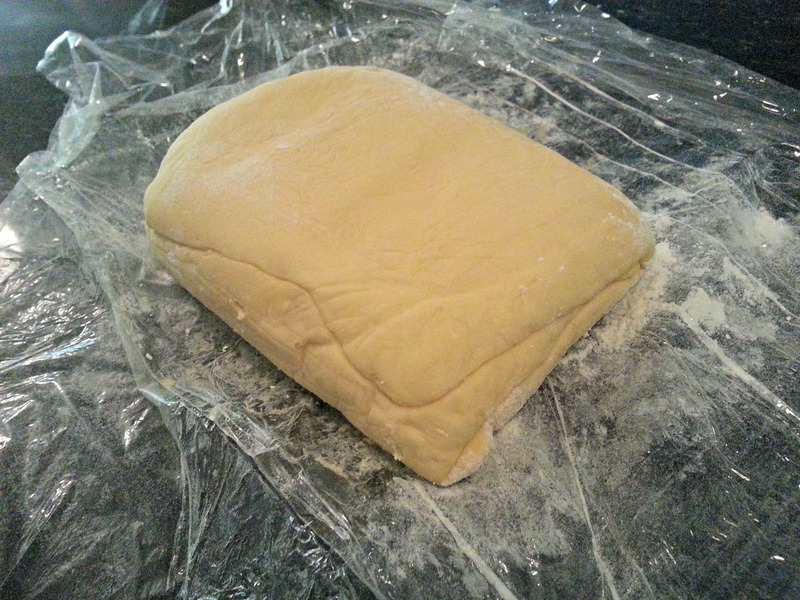 Place seam side down in a prepared 8×4 inch loaf pan pressing down firmly. 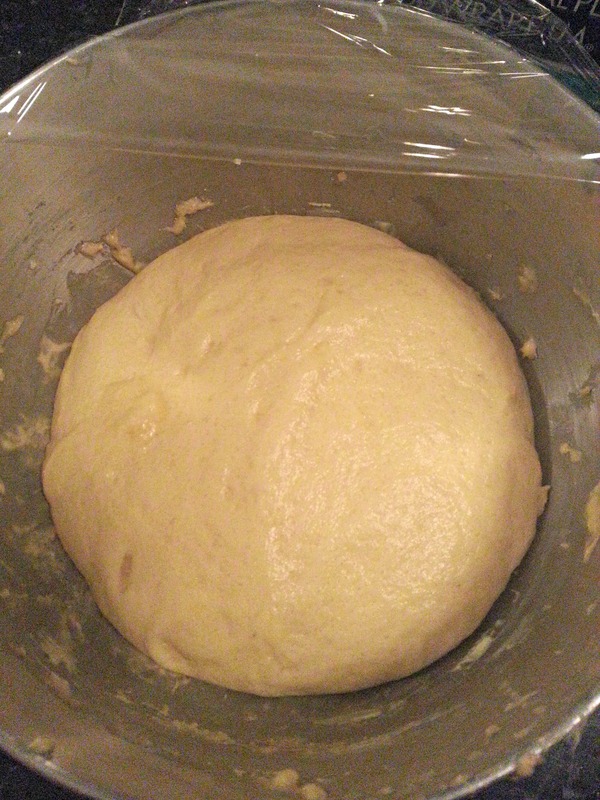 Cover lightly with plastic wrap and allow to rise until the dough reaches the top of the pan – about 1 1/2 to 2 hours. 7. Preheat oven to 350 degrees with a rack on the lowest position of the oven and place a baking stone or a baking sheet on the rack. 8. 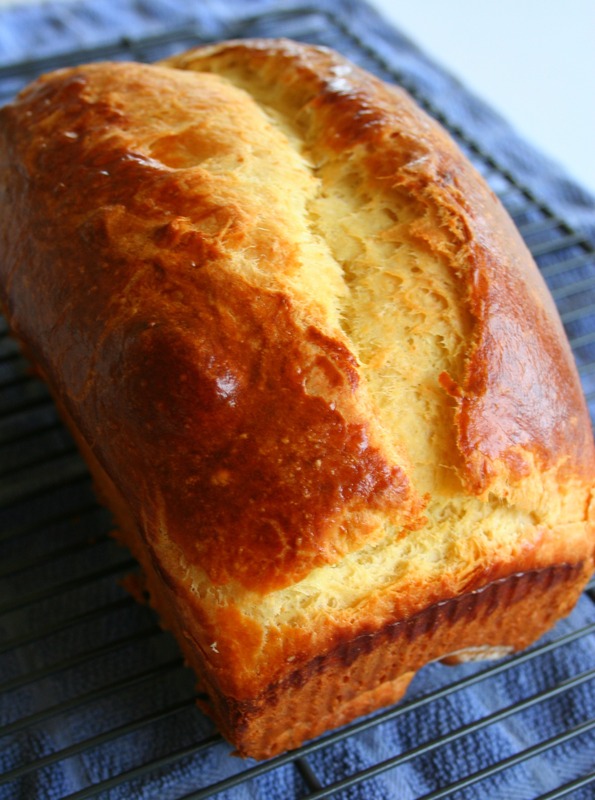 Glaze/Slash/Bake – glaze the top of the loaf with a mixture of one egg yolk and a splash of cream or milk. Slash the top of the loaf 1/4″ to 1/2″ deep lengthwise down the loaf, making sure to leave 1″ at each end. Set on hot stone and bake 35 to 40 minutes or until the internal temperature reaches 190 degrees. 9. Cool – un-mold loaf to cool on a wire rack at least two hours before cutting. Over the weekend, I prepared my brioche dough for the brioche and sausage dressing and the herb butter is sitting pretty in the freezer ( I used a stick and a half of butter instead of three). Tomorrow my plan is to bake off the brioche and roast several bulbs of garlic. Wednesday I will prepare the dressing, make the dinner rolls and take the turkey out of the brine. Thanksgiving day, I will prepare this ham in the crock pot, roast the turkey, make the roasted garlic mashed potatoes, green bean casserole, and bake off the dressing. It’s lists like this that makes me wish for two ovens! Thanks for reading and Happy Thanksgiving! To brine the turkey: Combine all of the ingredients for the brine in a large container. Add the turkey and let it brine in the refrigerator for 2 to 3 days. To prepare the turkey for cooking: Remove the turkey from the brine the night before roasting and pat it thoroughly dry with paper towels. Combine the rosemary, sage, and butter for the herb crust in a small bowl. Season, to taste, with kosher salt. 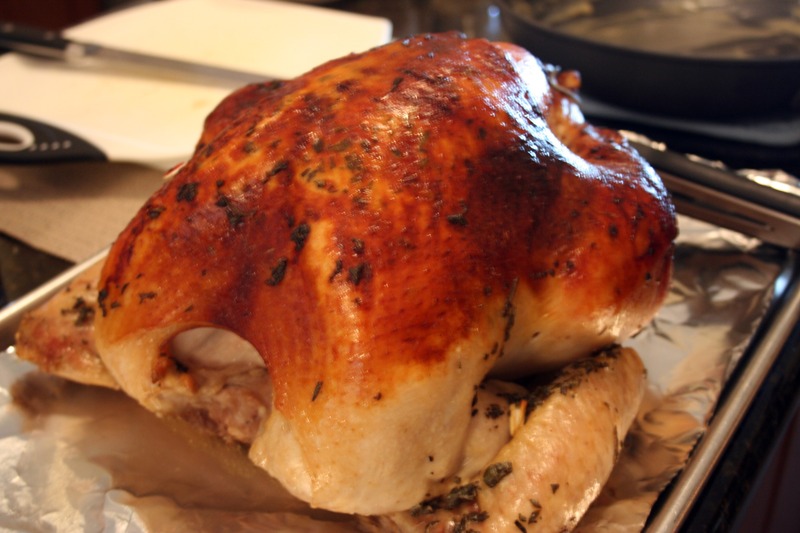 Work the butter under the skin of the turkey and massage it into the breasts and the legs. Massage the bitter on the outside of the skin as well. Tie the legs together over the breast so they will protect it during cooking and help keep it moist and juicy. Gravy preparation: Put the onions, carrots, celery, garlic, apples, bay leaves, cinnamon stick and thyme in a roasting pan and season with salt. Arrange the turkey on top of the veggies and refrigerate overnight UNCOVERED! Yes, that’s right, uncovered. This will help the skin dry out and become really brown and crispy. Make sure that there is no raw food near the turkey in the refrigerator. After refrigerating overnight, the turkey is ready to go in the oven. Put 2 cups chicken stock and 1 cup apple cider in the bottom of the roasting pan. Roast the turkey in the preheated oven until the skin gets really nice and brown, about 40 minutes. Lower the oven heat to 350 degrees F for the remainder of the cooking time. Baste the turkey every 30 minutes or so and add more stock to the roasting pan, if needed. Cook about 17 minutes per pound. Once it gets to the proper color, tent the turkey with aluminum foil to prevent it from getting too dark. Remove the turkey from the oven when an instant-read thermometer inserted in the thickest part of the turkey registers 160 degrees F. Make sure that the thermometer is not touching a bone when doing the reading. When the turkey has reached the proper temperature, remove it from the roasting pan to a cutting board and let it rest for at least 30 minutes. Cover loosely with aluminum foil. Strain all the veggies over a bowl to separate them from the stock/mixture. Discard the veggies. Skim off the fat and add it to the roasting pan. This is the fat for the roux. Put the roasting pan over 2 burners and over a low heat and whisk in the flour. Cook until the mixture looks like wet sand, about 4 to 5 minutes. Slowly whisk in the remaining 1 cup apple cider, remaining chicken stock and the stock/cider mixture. 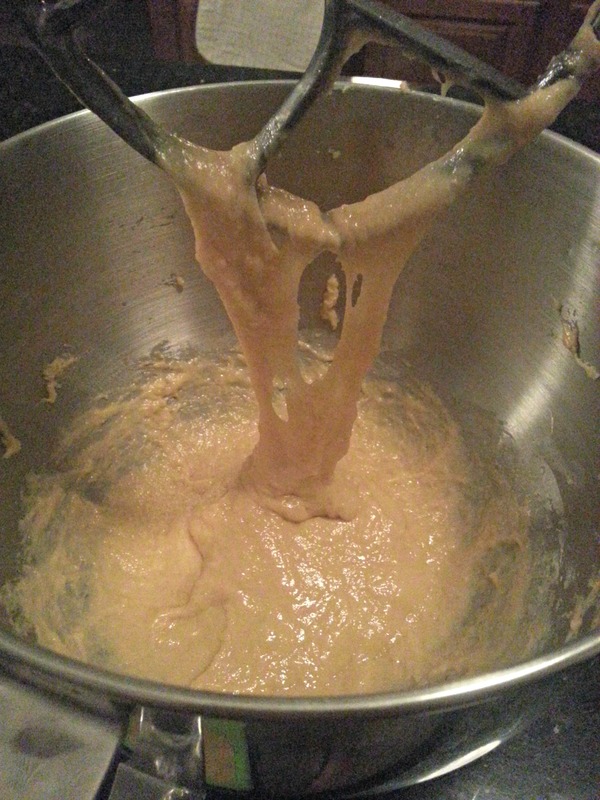 Cook until the mixture has thickened and reached a gravy consistency. Taste and adjust the seasoning. Pour into a serving pitcher or bowl. Carve the turkey, transfer to a serving platter and serve with the gravy. Cook’s Note: Don’t fight over the drumsticks. Give thanks for such a great turkey!!! 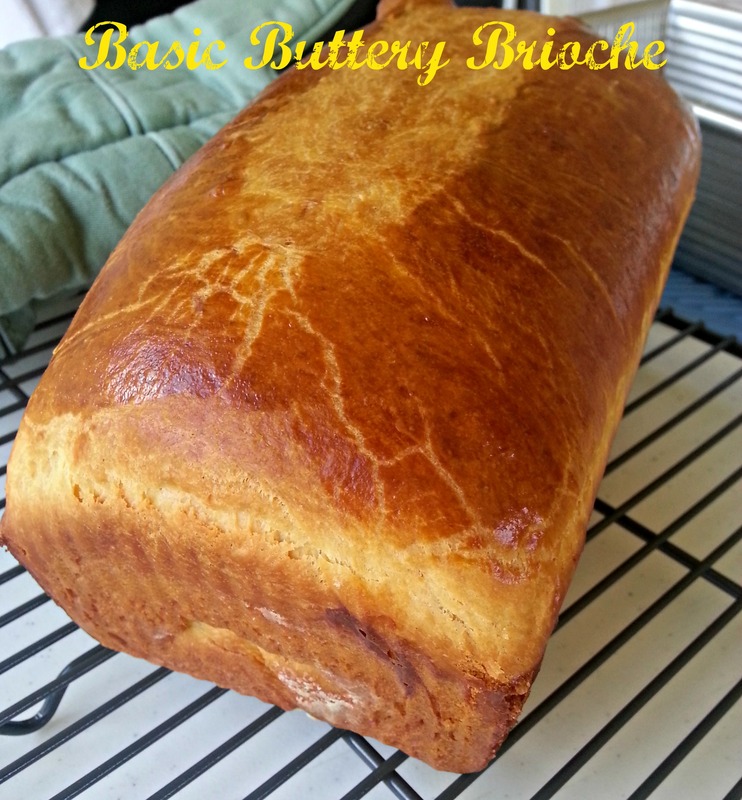 Spread the brioche on a baking sheet and put it in the oven until lightly toasted, about 10 minutes. Set aside in a large bowl. In a large skillet over medium-high heat, add the sausage and break it into pieces with a spoon. 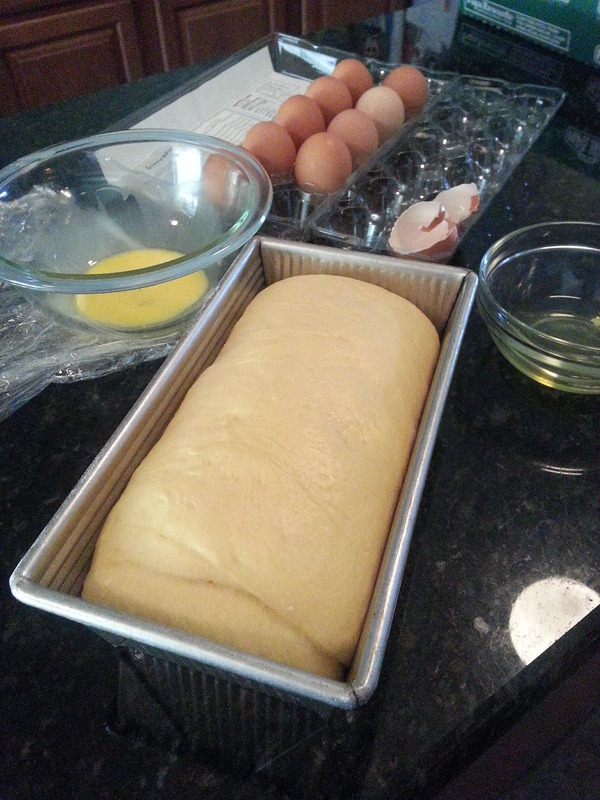 Cook until browned, then transfer it to the bowl with the brioche. Add the celery to the sausage drippingsand cook until softened, about 4 to 5 minutes. Put the sausage into the brioche bowl. Stir in the stock and sage and mix until the brioche absorbs most of the liquid. Season, to taste, with salt and pepper. Transfer the dressing to a 13 by 9-inch baking dish and cook, uncovered for 20 minutes. Cover with foil and bake until golden brown on top, another 20 to 25 minutes.